Ever wondered how to make candy in your very own kitchen? Well then you're in luck! We've got a variety of easy chocolate candy recipes just for you, including some of our favorite ingredients like, peanut butter, caramel, fruit, and more! Take a peek at these homemade candy recipes to spread out for family and friends at your next gathering! 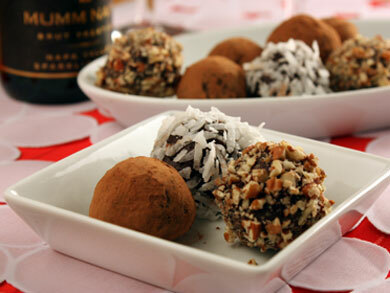 Chocolate Almond Truffles - We don't need a full-service bakery to churn out these little goodies! 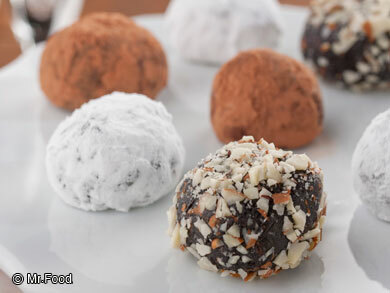 With a microwave, making our homemade Microwave Chocolate Almond Truffles is easy-peasy! Chocolate Sandwich Cookie Truffles - Your favorite cream-filled chocolate sandwich cookies get all dressed up and transformed into decadent truffles. Roll 'em in a variety of toppings for an oh-so-lovely presentation. Invite your friends over for coffee, and enjoy! Chocolate Cherry Truffles - The recipe for these Chocolate Cherry Truffles was shared to us by J.M. Hirsch, author of the cookbook High Flavor, Low Labor. They're sinfully rich, incredibly easy, and sure to impress your gang anytime! 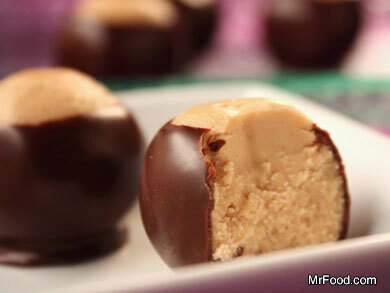 Fudge Balls - Fudge in a truffle-like homemade candy makes these Fudge Balls P-E-R-F-E-C-T-I-O-N! There's nothing better! Try it and see for yourself! When you were wondering how to make candy like this, you never would've thought it'd be this easy! Paraffin Wax - We use this ingredient to help us in the process of melting chocolate and keeping it solid at room temperature. Our recipe for Buckeyes uses paraffin wax to give these chocolate peanut butter balls a nice round shape and a beautiful shine! Paraffin wax is edible and can be found at most grocery stores where the canning supplies and jars are sold or in the baking supply aisle. You've gotta have this ingredient when you're learning how to make candy like a pro! Shortening - This ingredient has a higher melting point than chocolate, but it won't harden like paraffin wax. 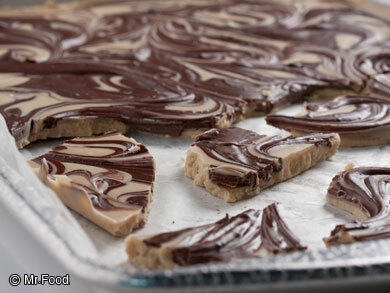 It's great for adding a little sheen to your homemade chocolate candy recipes. We use it in our recipe for Homemade Peanut Butter Cups, and it gives them that finishing look that really makes you say, "Wow!" Once you've tried this easy chocolate candy recipe, you'll never buy the ones from the store again! Baking Squares/Chips - Baking chocolate is typically unsweetened or bitter chocolate that has a low cocoa butter content. It does not melt as easily as chocolate chips, which is why it is used as the main ingredient in some of our chocolate candy recipes, like our Tiger Butter. You can find this ingredient in the baking aisle in many different varieties. Chocolate Chips - With all of these great chocolate candy recipes, you're more than likely going to be buying and using chocolate chips. Chocolate chips are different from baking chips in that they're designed to hold their shape, which is why we use them in all of our favorite cookie, cupcake, and brownie recipes. They're typically sweetened and have added fats and oils that make them easier to melt too. You can find them in a variety of flavors (white, milk, dark, and everything in between!) at most grocery stores. 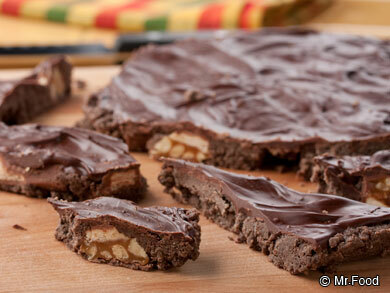 We like using 'em to make Chocolate Almond Bark. Don't worry—we won't tell anyone if you sneak a few in while you're getting this recipe started! 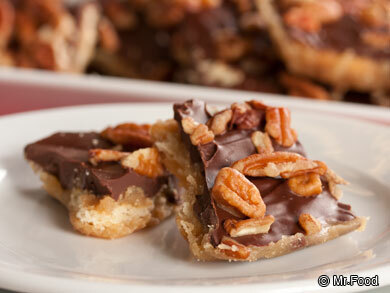 Crackers - How about adding a little crunch to one of your favorite chocolate candy recipes? Our recipe for Homemade Cracker Candy is an old-fashioned favorite that calls for buttery crackers. It's a simple way to add an extra layer of melt-in-your-mouth deliciousness. 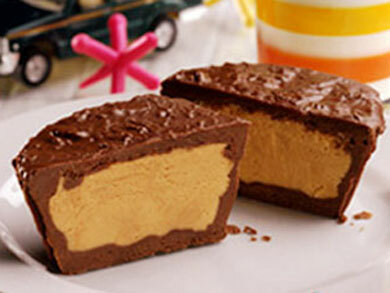 If you're in the mood for a chocolate peanut butter crunch, then you're going to want to make Brickle Crunch. 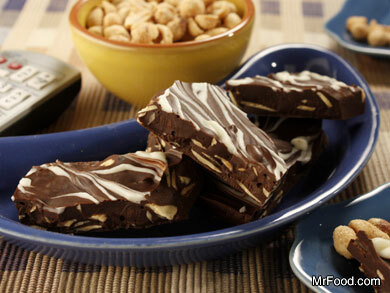 This chocolate candy recipe uses saltine crackers! Everything goes! - There's no right way to enjoy your favorite chocolate candy. So, why not try something new? Use leftover candy to make new candy with our recipe for Candy Icebox Bars, or venture out into the world of fudge and give our Potato Chip Fudge a whirl. It's got pretzels and potato chips in it, yum! If you want to learn more about how to make candy, be sure to check out our free eCookbook, Homemade Candy Recipes: 20 Old-Fashioned Recipes for Chocolate Candy, Fudge, & More! Want even more fantastic dessert recipes? Check out our ultimate guide, Quick & Easy Dessert Recipes: 501 Great Dessert Recipes for Any Occasion.